TOM Cruise doesn't want any more kids. 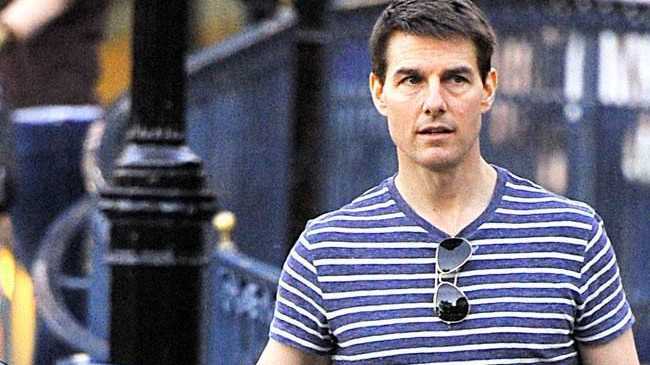 The 49-year-old actor has children Suri, six with wife Katie Holmes and Connor, 17 and Isabella, 19, with former spouse Nicole Kidman but has no plans to add to his brood because he has such a good relationship with all three kids. While Tom loves spending time with his children, he also recently gushed about his Katie, who he married in November 2006, saying she makes him feel better just by walking in to a room. He said: ''She is an extraordinary person, and if you spent five minutes with her, you'd see it. Everything she does, she does with this beautiful creativity. "She has a voice and warmth as an artist, as a mother. She's funny and charming, and when she walks into the room, I just feel better.